While several people, including people I really respect, privately wrote to challenge me to justify calling the appointment of an “accountant-turned-columnist” as education minister well-deserved, others assumed, without evidence, that I was being lavish with my praise because I was personally known to the minister. I was frankly taken aback by all this because I didn’t think describing an appointment as “well-deserved” was of any consequence. But after a little digging, I realized that many university teachers, particularly one Professor Akin Oyebode, publicly resented the appointment of Adamu Adamu as education minister because he isn’t a career academic. I also read many excellent rebuttals to this objection. So, apparently, I am a latecomer to this conversation. When I spoke with people who know him personally, they confirmed what my late wife said and added that he is essentially a fiercely ascetic and self-effacing man who isn’t as assertive and aggressive in real life as he is in his writings. But I didn’t call his appointment “well-deserved” because of any vicarious personal familiarity with him. I did so only because of my familiarity with his writing and pedigree. First, it is inaccurate to call him an “accountant-turned-columnist.” It is true that he got a bachelor’s degree in accounting from Ahmadu Bello University and was an accountant with the old Bauchi State government for a few years. But most of his professional life has been in journalism, not just columnism. And he didn’t just study accountancy; he also has a master’s degree in journalism from the Columbia University Graduate School of Journalism in New York, one of the oldest and most prestigious journalism schools in the world, which administers the famous Pulitzer Prizes, journalism’s most esteemed professional awards. He was Deputy Editor of New Nigerian and author of the wildly popular “Definition in Humour” column in the New Nigerian on Sunday in the 1980s. 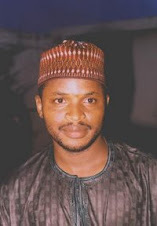 He was also one of the founding editors of Citizen, the first serious modern news magazine in northern Nigeria, and of Sentinel, a beautiful, well-edited weekly news magazine that was financed by the late General Shehu Musa Yar’adua. This is all common knowledge to older educated northern Nigerians. But I’ve discovered that most southerners and younger northerners have been influenced by the narrative that Adamu Adamu is merely an accountant who accidentally became a columnist; they miss the infix between his accountancy and his colunmism: journalism. Deep immersion in journalism and columnism is just one facet of the man. He is also a polyglot. He has native or near native proficiency in Fulfulde, Hausa, English, Arabic, and Persian. It takes a lot of passion in learning to acquire proficiency in these many languages. If you say Fulfulde and Hausa are native to him, and English was learned effortlessly since it’s the language of instruction at all levels of education in Nigeria, you still can’t help but admire the commitment that went into learning Arabic and Persian. Most importantly, Adamu Adamu has written more about education—and with greater depth and clarity— than any previous minister of education Nigeria ever had, except, of course, the inimitable Professor Babatunde Aliyu Fafunwa. As Mahmud Jega pointed out in his November 15, 2015 column, Adamu Adamu has a vast and varied oeuvre spanning decades on a variety of subject-matters, particularly education, that people can always “dig up” to “see if there is a match” between the ideals he espoused and his actions. “When … ASUU goes on its next strike to demand that Nigeria devotes 30% of its budget to education, the union will call the Minister of Education as witness because he wrote an article in 2013 strongly advocating that,” Jega wrote. If a person who studied in three continents, including at an Ivy League university, studied and practiced two different professions, went out of his way to learn and acquire near-native proficiency in two additional international languages, and wrote hundreds of passionate and informed articles on education over a period of more than four decades isn’t “well-qualified” to be minister of education, I don’t know who is. You don’t need to have a Ph.D, or have the title of “professor” prefixed to your name, to supervise the ministry of education. 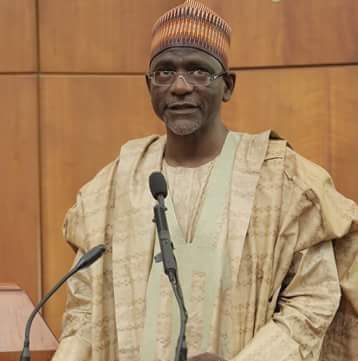 I relate with (Nigerian) PhDs and professors every single day of my life, and I can attest that most Nigerian academics, including me, can’t hold a candle to Adamu Adamu when it comes to issues concerning education. This isn’t empty bluster. Anyone in doubt can search for his articles on Google and make their judgment independently. 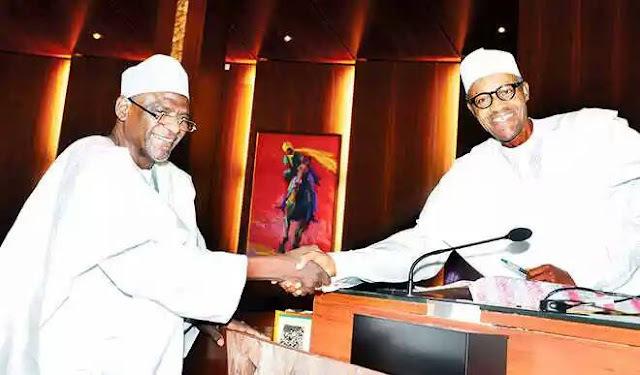 Now, does this mean Adamu Adamu will dwarf other ministers of education that preceded him? I frankly don’t know. I am not vouching for him because I know there is something about being in government in Nigeria that just drains people’s brains and constricts their commonsense. Otherwise clearheaded people go into government and become total, irredeemable jerks. I don’t know if Adamu Adamu will be that. I hope not. I just like the idea of an informed, knowledgeable “outsider” being put in charge of a ministry as rotten but as consequential as education.